New Directions Publishing Corporation, 9780811218559, 113pp. The notion of duende a demonic earth spirit embodying irrationality, earthiness, and a heightened awareness of death became a cornerstone of Lorca's poetics. In Search of Duende gathers Lorca's writings about the duende and three art forms susceptible to it: dance, music, and the bullfight. 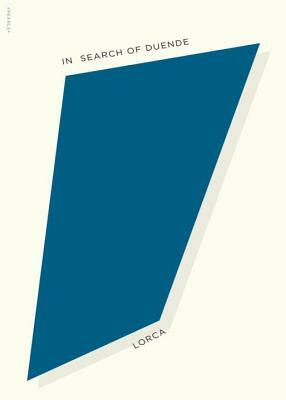 A bilingual sampling of Lorca's poetry is also included, making this an excellent introduction to Lorca's poetry and prose for American readers.